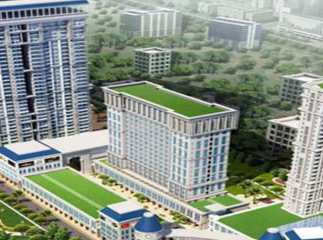 Noida Sector 52 Noida, is one of the leading real estate destinations in Noida. MMR Group has launched MMR 52nd Avenue property in Sector 52, Noida . Spread over 9 acres of prime area, the complex boasts of luxury amenities including a platinum lounge for visitors, luxurious serviced residential apartments, and retail units. MMR 52nd avenue is one of the leading commercial projects in sector 52 Noida . It boasts of separate lobbies for office blocks, centrally air-conditioned commercial spaces, and minimum maintenance cost. The commercial space has 24-hour water supply, power backup, gymnasium, parks, open spaces with sit-out areas, WiFi connectivity, conference rooms, day-care centres, 3 Tier-security, and much more. If you are looking for ready to move projects in Sector 52 , MMR 52nd Avenue presents a golden opportunity which will give excellent returns. Starting at just INR 33.76 lakhs the project is affordably priced.